Kimball, Zorgrot, and binnall discuss esoterica, world affairs, and beer. Ahoy hoy ! I have returned from Canada. Big thanks to Paul Kimball, and his great friends, for their tremendous hospitality and friendship during my journey to the Great White North. Paul put up with my antics for nearly 6 days, which may qualify him for sainthood, and his posse members Annie Briggs and Graham Simms proved to be first class people who were a joy to have as part of the experience. I am happy to report that the Kimball / Binnall Summit was a tremendous success. Unlike the infamous Agra Summit, this meeting of the minds produced quite a few insightful conversations, raucous laughs, enlightening moments, and overall good times. It is far too early to tell the longterm effects this Summit will have on the world of esoterica, but insiders are predicting that it could, indeed, be looked back on as a watershed moment. The details of my Oak Island exploration will be chronicled in an upcoming edition of C2C's After Dark magazine, due out sometime in the Fall. Until I get the draft of that done and determine the picture situation (with regards to Oak Island specific pics), I will hold off on that material. I expect to find out what can be released sometime this week. binnall mystifies Graham Simms as Paul Kimball studies his camera. binnall and Annie Briggs mug for the camera. 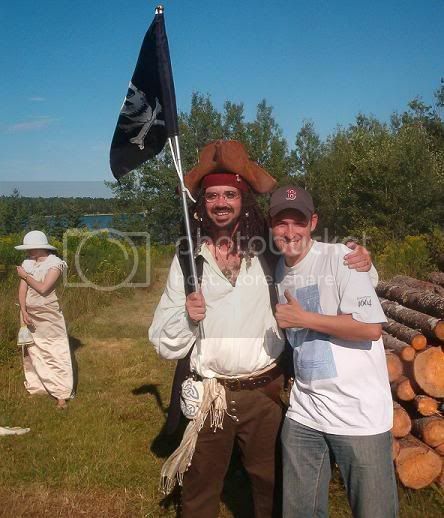 binnall and his pirate friend. 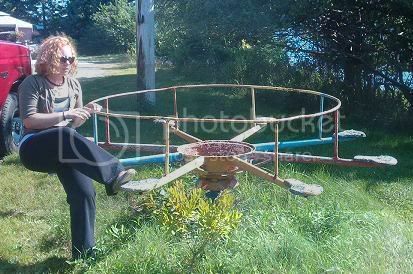 Annie on an ancient merry-go-roud on Oak Island. 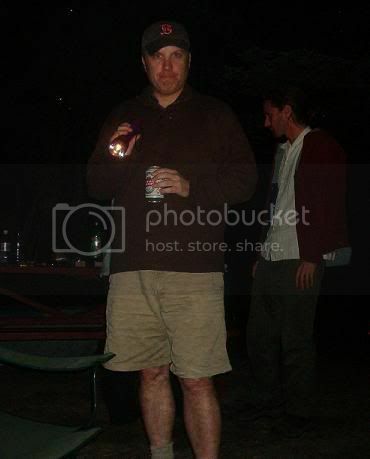 Kimball up to no good @ camp. Our respective handlers and flunkies have finished ironing out the details. 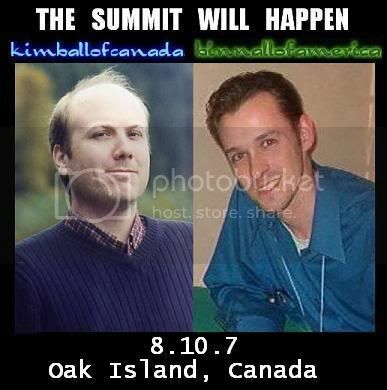 On August 10th, 2007, esoterica's clown prince, binnall, will journey to Canada to meet up with Canada's Ufological merry prankster, Paul Kimball. An epic meeting of the esoteric minds. 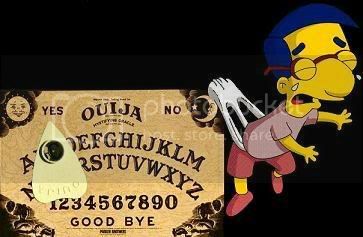 A lengthy road trip of paranormal proportions. A special BoA international investigation of a classic esoteric case. All that and more is on the drawing board for the impending BoA / Kimball of Canada summit. The world of esoteric and paranormal research and punditry will never be the same after next week's first ever "Kimbinnall Summit" between yours truly and Binnall of America kingpin Tim Binnall. Tim arrives in the Great White North next Thursday. I'll be picking him up in Prince Edward Island, and bringing him back to Halifax for a weekend of hanging out at Oak Island, where we'll be attending - and I'll be filming - Explore Oak Island Days for a documentary project I'm developing. 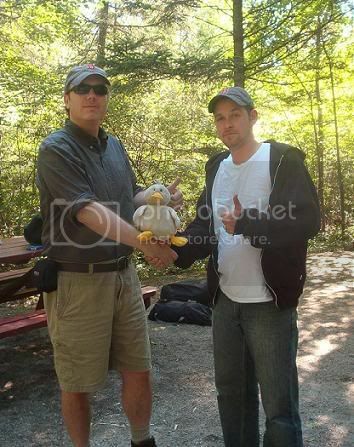 I think Tim will also be conducting some interviews for a future BoA episode. 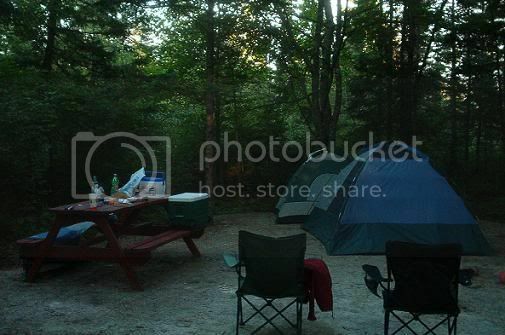 We'll be camping out near Oak Island with my crew, and drinking good old Canadian beer. After the Oak Island festivities, I'll be taking Tim back to PEI and hanging out with him for a day or two in his summer retreat there, where we'll come up with all sorts of schemes... and drink more good Canadian beer. I'll be heading up to Canada for more BoA international esoterica @ Explore Oak Island Days. Kimball and I will be engaged in a lengthy esoteric road trip (in Canada, no less), where we can only hope to either spot a UFO or hit Bigfoot with his car. To top it all off, there's even something called a "Pirate's Brannigan", which is like a pirate themed dance. Arrrgh. I'll be on the look out for a rum soaked wench, no doubt. No updates @ BoA from 8.9 to 8.13 (at least), but hopefully we can get it going again after that, provided Canada has the Internet (which I think it does).